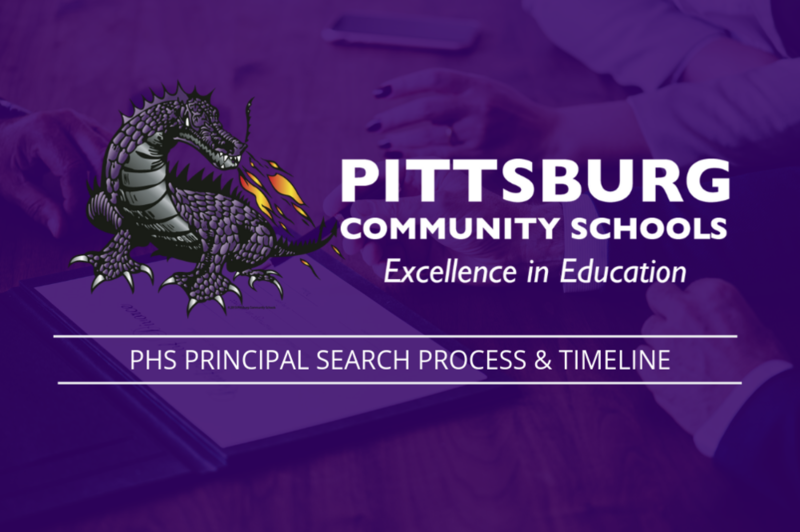 This manual outlines the process that will be utilized during the search for a new High School Principal at PHS. The manual reflects the practices outlined in the Administrative Hiring Practice Review submitted to the Board of Education on June 12, 2017. 1. The advertisement for the High School Principal position will be posted on January 15th on the KASB website, the United School Administrators website, and the Kansas Education Employment Board website. 2. The deadline for applications will be set for February 5th at 3:00 p.m.
3. Interviews will be set for a day in the week of February 11th-15th. 4. A candidate will be ready to be brought to the Board at the second Board of Education work session in February, most likely February 25th. 1. All postings and applications will be in electronic form assuring that access to candidate information is only available to district office staff. 2. “Cold Calls” will be utilized to take advantage of central office administrative networks that may lead to securing the applications of outstanding candidates. 3. A brochure outlining the position, key attributes and information about the district will be attached to the postings. a. TalentEd is an online applications system that the district has utilized for several years. b. It allows for greater security with candidate information, increases the speed of communication in the process and provides greater flexibility in checking references. 1. Initial Screening will be conducted by the Superintendent and the Assistant Superintendent. a. References are required at the time of submittal of application. b. Reference checks will automatically be electronically sent once the application is submitted. c. “Cold Call” third party reference checks may also be made on candidates. d. Review of candidate’s online activity may also be reviewed. e. Official transcripts will be required of each finalist prior to being scheduled for an interview. 2. A secondary screening will be conducted by a small group of building level administrators and selected teachers from the high school. 3. Training of staff on screening practices and expectations will be conducted prior to allowing candidate information to be reviewed. 1. 3-4 finalist will be chosen to interview with the district for the position. a. Community Panel: This panel will consist of hand-picked community leaders who will are also parents of students in the district. One BOE member will be asked to lead this group through the interview process. b. Staff Panel: This panel will consist of at least 1 classified staff member and 1 special education member with the remainder being regular education teachers. c. Administrative Panel: The panel will consist of the Superintendent, Assistant Superintendent, and the high school assistant principals. 3. No Skype interviews will be conducted. 5. We hope to interview all candidates in one day so that we can have a clear comparison between candidates and discuss strengths and weaknesses while they are fresh. a. Candidates will interview with all panels, take a tour and be able to meet staff members during the day. b. Additional staff will be selected to assist in the non-formal interview sections of the process. 6. All interviewers will utilize a Google Form to keep track of responses or thoughts and score each candidate. a. The google forms will also include direction of what types of answers that we will be looking for. b. Once the interviewer submits their thoughts and scores, it will be collected in a spreadsheet that only the Superintendent and Assistant Superintendent will have access to. 7. The Superintendent and Assistant Superintendent will debrief with all panels to get their thoughts and opinions on each of the candidates. 1. All non-finalists and finalist not chosen will receive personal contact. 2. If a follow-up interview is necessary for finalists, February 18th will be reserved to meet with high school staff and BOE members who would like to participate in a meet and greet of a candidate(s). That is a professional development day in the district. 3. Reference checks will have already been made prior to interviews, however, additional follow-up questions may be made to references or third party individuals in the post-interview period. Disclaimer: If the district does not find the correct fit for the job, it reserves the right to open the process again to search for additional candidates.